An area of growing concern for many organizations relates to Power Quality. With increased dependence on highly sophisticated electronics and critical systems, the reliable delivery of electricity is vitally important to the operation and performance of today’s businesses. Power Quality is a multi-dimensional and complex set of measures that assess the differential between expected and actual qualities of electrical power. 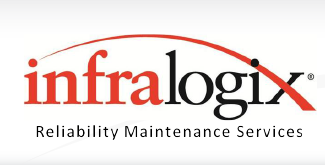 Infralogix uses a specialized power analyzer to perform these measures to identify such gaps and anomalies. Our Reliability Specialists will collect data, perform analysis and generate a detailed report with findings, diagnostic interpretations and recommended corrective actions. When dips, swells, spikes, surges, momentary outages or other disturbances occur – computers and other sensitive equipment may malfunction, fail prematurely or shut down unexpectedly. The consequences can be severe to catastrophic. Consider the cost and performance impact of downtime to hospitals, banks, data centers and other high-performance facilities. Unplanned outages for such operations can cost thousands of dollars each minute or result in unsafe conditions.